Recently, the interest on multiobjective optimization problems with a large number of decision variables has grown since many significant real problems, for example on machine learning and pattern recognition, imply to process patterns with a high number of components (features). This paper deals with parallel multiobjective optimization on high-dimensional feature selection problems. 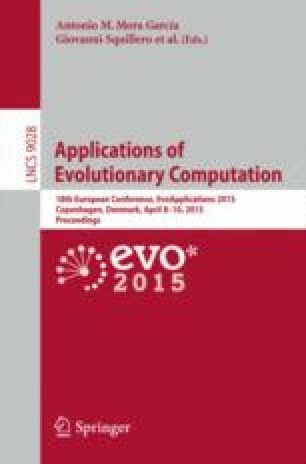 Thus, several parallel multiobjective evolutionary alternatives based on the cooperation of subpopulations are proposed and experimentally evaluated by using some synthetic and BCI (Brain-Computer Interface) benchmarks. The results obtained show different improvements achieved in the solution quality and speedups, depending on the parallel alternative and benchmark profile. Some alternatives even provide superlinear speedups with only small reductions in the solution quality. This work has been funded by projects TIN2012-32039 (Spanish “Ministerio de Economía y Competitividad” and FEDER funds) and P11-TIC-7983 (“Junta de Andalucía”).